The AL-IRDS infrared dome sensor is designed to work in an Atlas Learn amplified learning system. 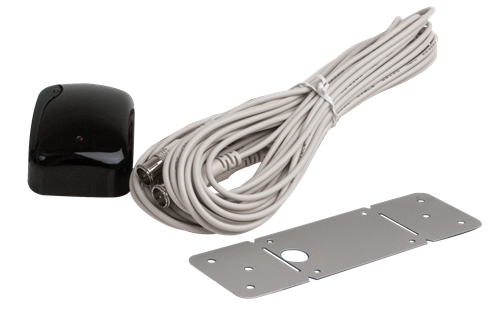 The AL-IRDS is mountable to a wall or ceiling tile using the included mounting bracket. Each AL-IRDS includes a 10 meter RG6 coaxial cable for connecting the AL-IRDS to an AL2430 amplifier/receiver. The AL-IRDS works with both the AL-MYNA and AL-MAGPIE infrared wireless microphones. Infrared is advantageous because it does not operate on frequencies that can be disrupted by wireless Internet routers, cordless phones, or other devices. Additionally, infrared eliminates the possibility of cross talk between two adjoining rooms as the IR dome(s) in each room receive only the signal from microphones used in their proximity.